It won’t be long before we are wrapping presents, switching our ‘out of office’ on and heading home to our friends and family. But before all that Christmas cheer it is time to make sure you are organised. The weeks leading up to Christmas are usually quite frantic. It seems like a race against time to get all your work done and sorted, ready to relax. One important area that is often neglected is your data. When you switch off for the holidays you want to know that nothing will be troubling you. Which is why we are here to help. Here at DataSpace we have a wide range of data management services that will help you switch off and know that everything is as it should be. No data breaches ahead or anything else to worry you. Storing your data off-site is certainly key. With our storage solutions you can store anything from patient records and X-rays to personal and confidential staff files and records. Getting this sorted before Christmas means that it is one less thing for you to worry about. And if you really can’t switch off from work then why not take a look at our Brainloop secure dataroom service? Even if you are planning to go abroad you can still access your confidential information safely and securely. We even have Brainloop for the iPad. To find out more why not head to our website or contact us today? 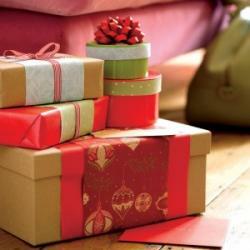 We can help you get organised this Christmas so your holiday season goes without a hitch!